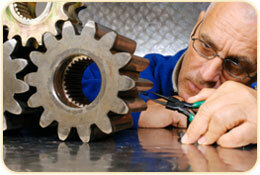 To efficiently provide quality engineering services and value to our clients at a reasonable price. Our management system works because we are focused on the customer. This forces all of our business decisions to be based on customer need, not on our own management's hypothetical projections. We develop technology as the customer need arises and avoid moving technology into the market place when no demand exists. To remain competitive, we intentionally make full use of lean principles within our organization to constantly streamline every aspect of our working environment. This results in faster turnaround time, better ideas, and better results for our clients - all in a cost effective package. "Identify the chokepoint in your business model and industry and then gain control of that chokepoint."